There is power in a name, and in the words we use. What we call something sends a signal about what it is, how we should treat it, and more. 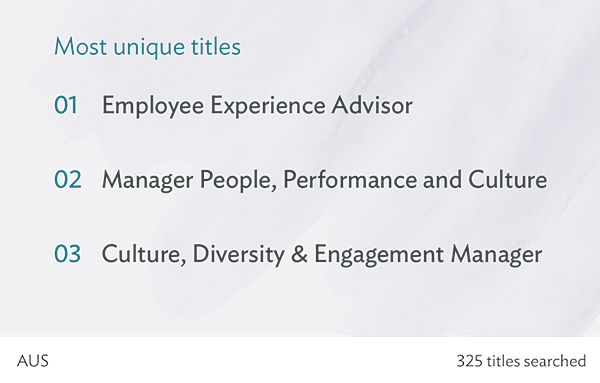 For people in the Human Resources profession, titles have long been a point of discussion. Even the name of the field itself has been up for debate. Is it appropriate to say humans are resources? 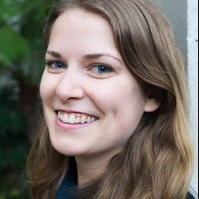 Is People Analytics a more appropriate term? As the discussion carries on, people’s individual titles continue to carry weight. If you want to be progressive, should you push for a title with “People” or “Culture” in it? 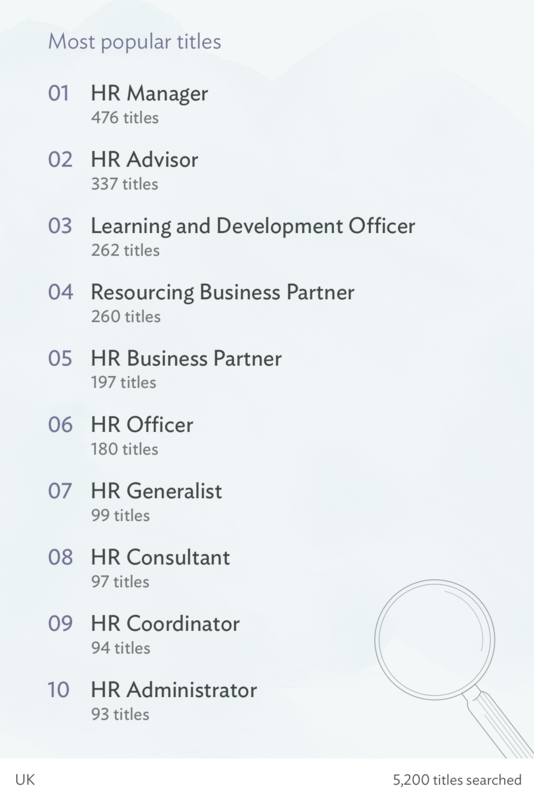 In past years we’ve examined the trendiest HR titles (See them here: 2016 HR titles and 2017 HR titles) and in 2019 we wanted to see how things have continued to change. Looking to change your job title and your career? Our data science team analyzed job postings in the US, UK, and Australia in November and December of 2018. 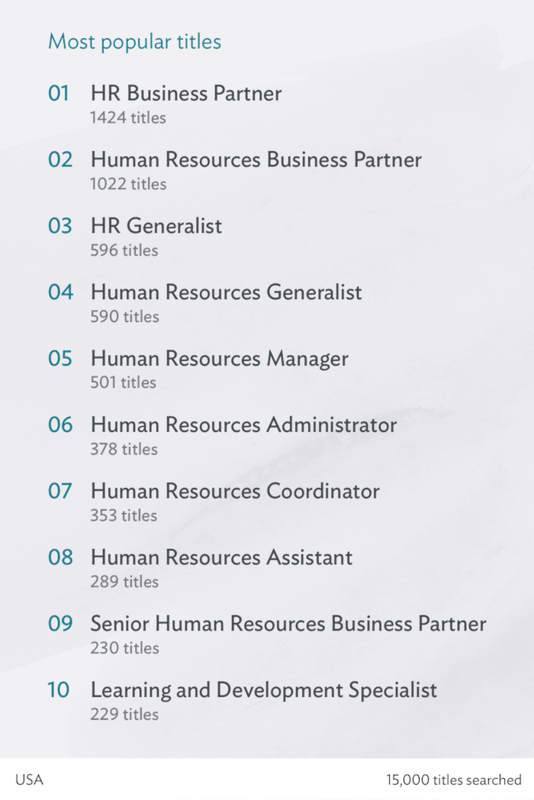 The jobs we searched for included terms like: “CHRO”, “People Analytics”, “Head of People”, “HR Business Partner” and more. 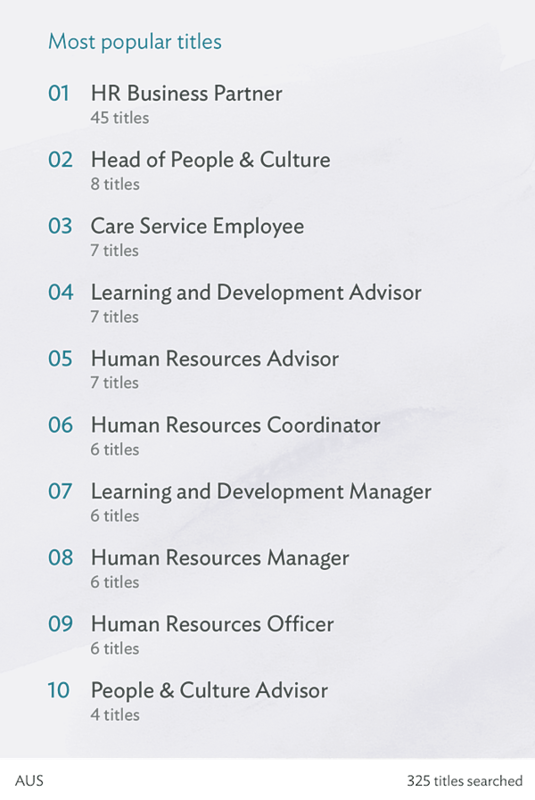 Then, full titles were extracted from the job postings, which brings us the following list of popular HR titles in 2019. From this data, we see that titles with “HR” still outnumber those with “People” “People Analytics” or “Culture.” A Google trends report of the search term “human resources” vs. “people and culture” shows that over the past 12 months, interest for human resources peaked in January of 2018, and is starting to very slowly decline. Interest for people and culture is markedly lower in comparison, but when viewed on its own we see a cyclical interest across the past 12 months. 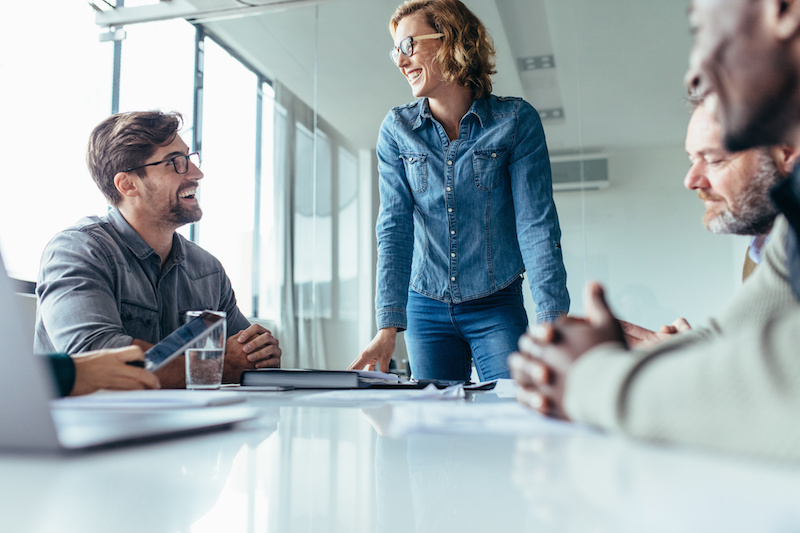 While those working within Human Resources might be ready for a change, the industry as a whole is still aligned with the terms and titles, and likely not ready for a full transition to People and Culture. 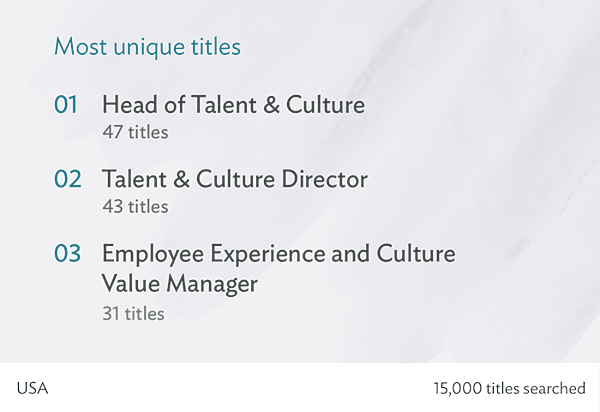 While the United States was our largest dataset, it also contained the most unique titles, like “Head of Talent & Culture” this tells us that while the titles may be slow to evolve, what’s expected of HR professionals continues to evolve rapidly. There is also a sense that countries with more Start-Ups, like the United States, are more likely to adapt unique HR titles that relate to things like culture. 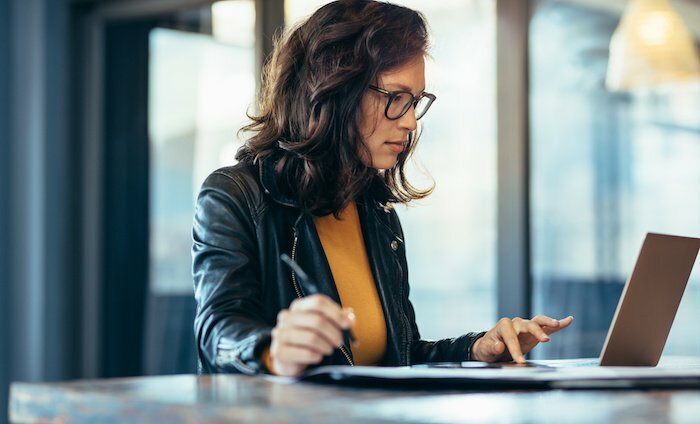 In the United Kingdom, as we’ve seen in our report on HR skills in-demand for 2019, there will be a growing need for all HR practitioners to be ready for the challenges that Brexit will bring. 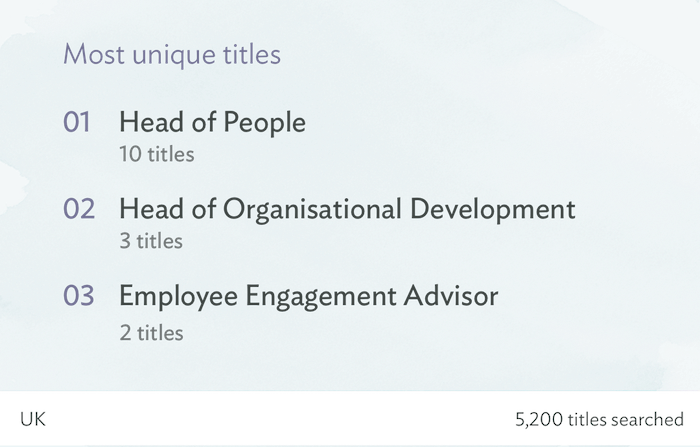 While Australia represents our smallest dataset, we were delighted to see Head of People and Culture as a top title. This tells us that some Australian businesses are ready to put People and Culture at the center of their organization’s success. 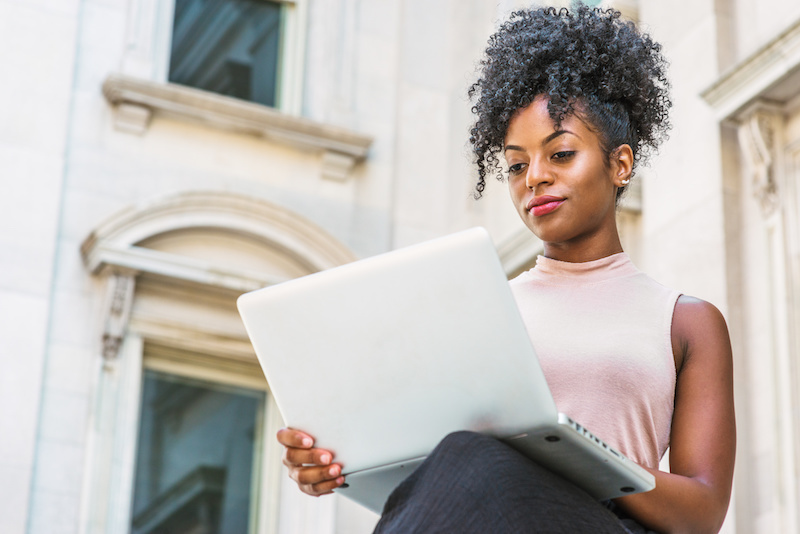 Ready for the next step in your HR career?